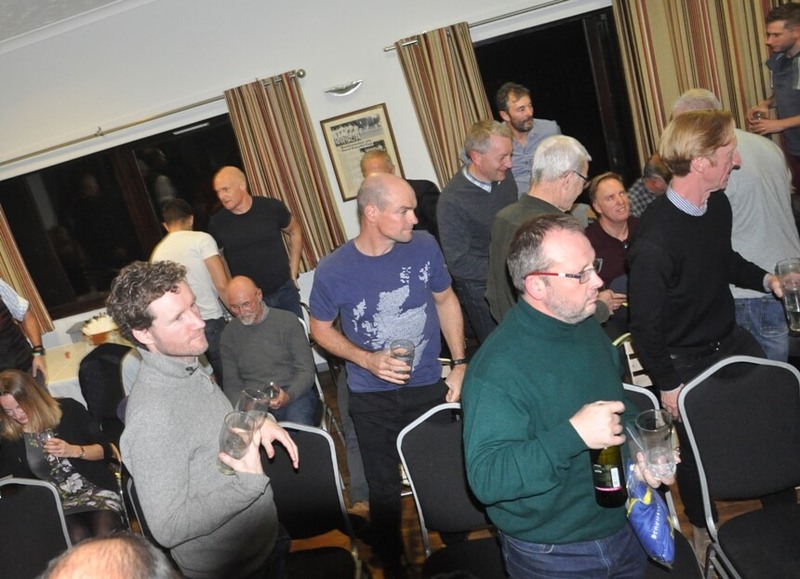 Huge thanks to all the club members, friends and supporters who attended the clubs 2018 AGM ensuring a really enjoyable evening. 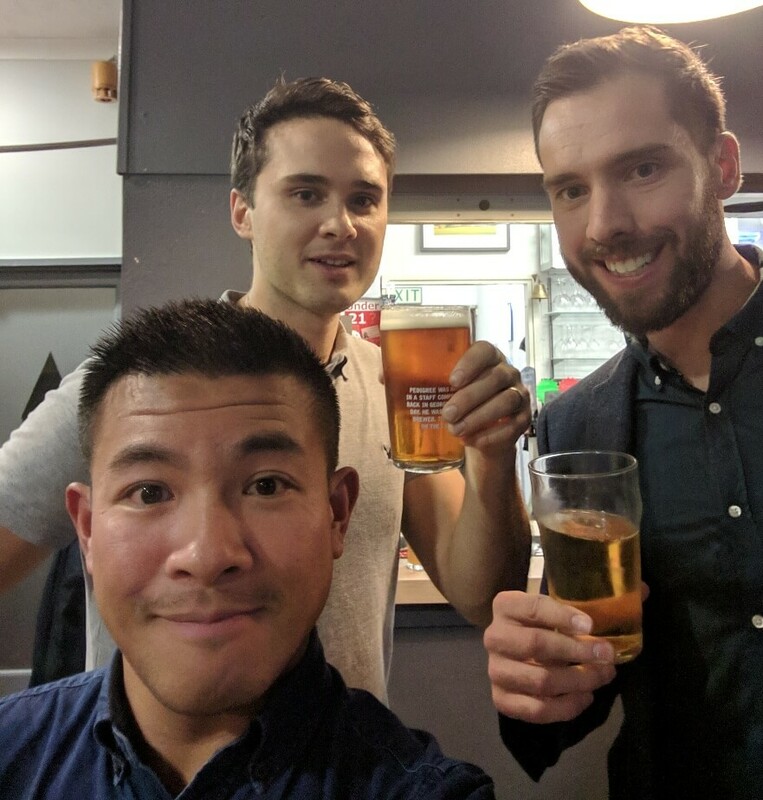 Luckily the formalities were expertly despatched in a timely manner by the Committee and the clubs normal social activities (notably drinking and eating) weren’t disrupted for too long. 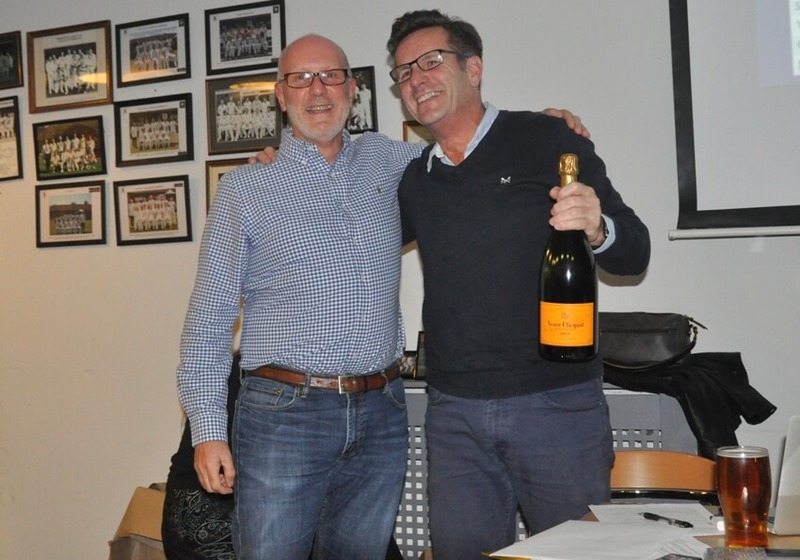 Chairman Michael Gower provided his last Chairman’s report which informed and entertained. He shared statistics, visuals, comic captions and satirical comment. Will his new role be as anchor man for ‘Have I Got News for You’? Other members of the Committee added their reports confirming that the club is in ‘rude health’ after yet another busy and successful year. 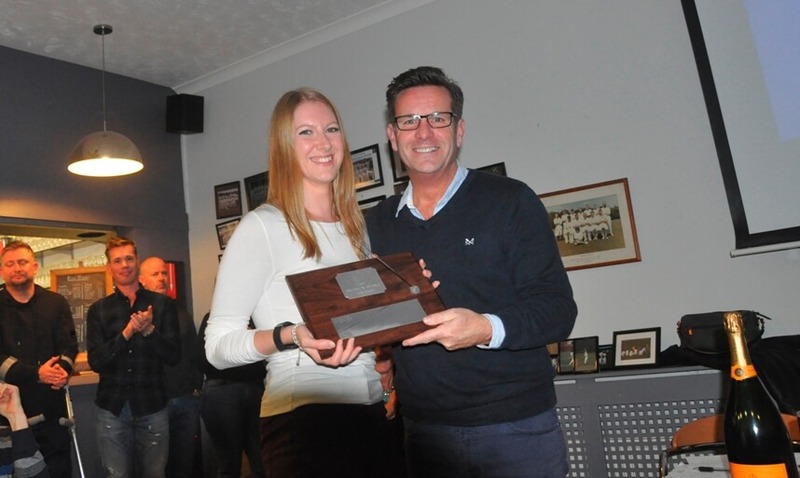 Club Supporters Award – Geoff Selley, The Kurth Quaich Award – Andy King and Best Club Rider Award – Sarah Warrington. Thanks’ and tokens of gratitude were given to Executive Committee members and Consulting Group standing down. New faces joining the committee and old friends remaining in role were announced and accepted by the members. 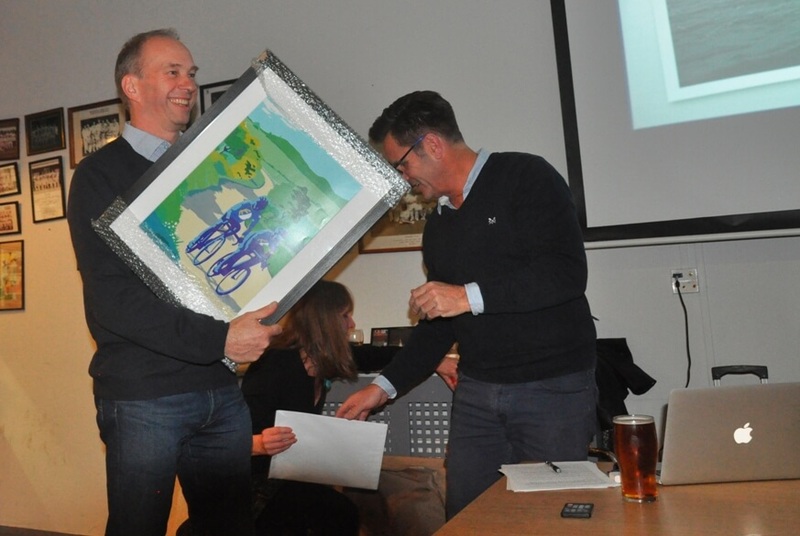 Simon stood down as Secretary , Mike stood down as Sportive Officer and Ian stood down as Ride Coordinator. 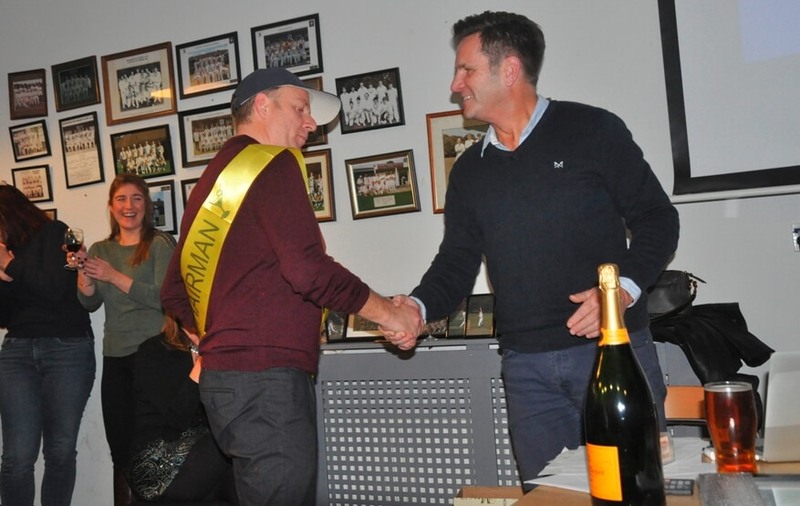 The outgoing Chairman Michael Gower welcomed in the new Chairman Mike Plowman adorning him in the regalia befitting such an important position. 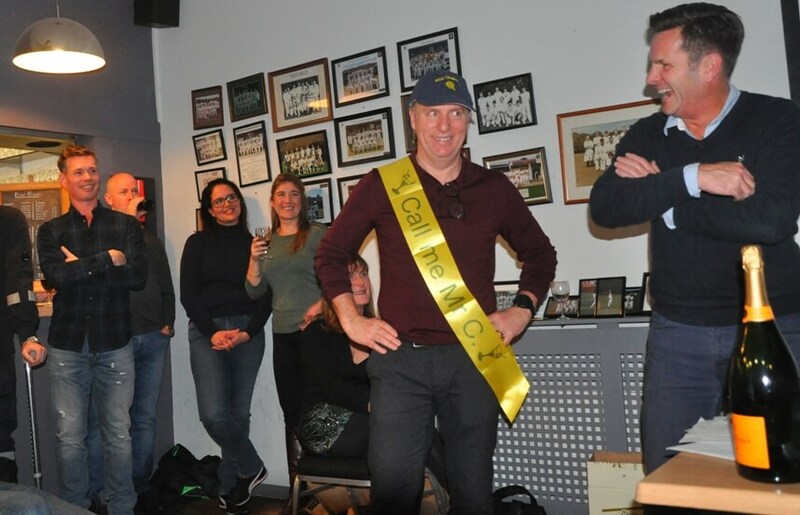 Mike, a founder member of BCC and the outgoing Sportive Officer thanked the outgoing Chairman and committee members for all their hard work and all that they have achieved before confirming his own commitment to his new role. He told the members how important their support and contribution had been to BCC success thus far and how important it would be for a successful future. 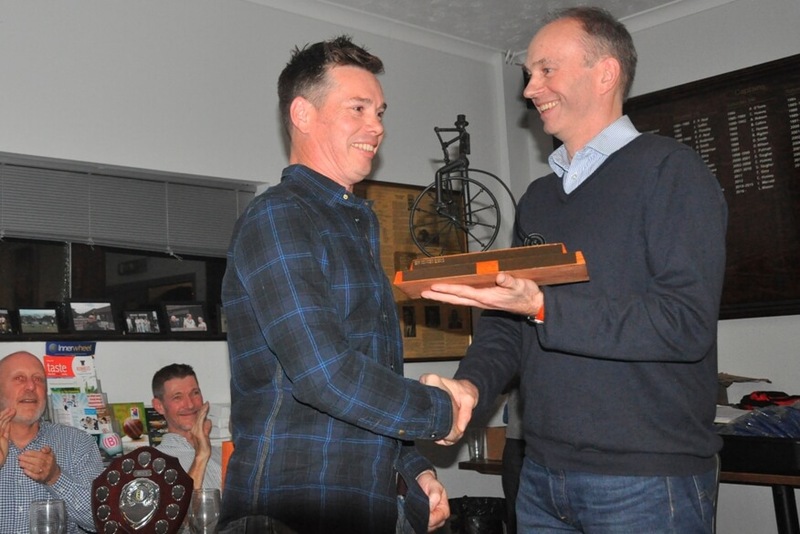 He emphasised his desire to work with the new Committee to ensure the Club remained; friendly, fun, challenging and inclusive, embracing the love of cycling at all levels, in a variety of disciplines. 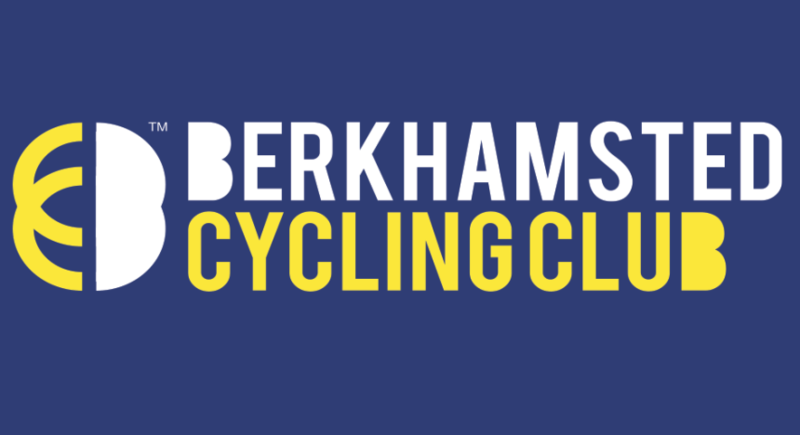 *Note* A full Committee structure will be published in the members section club documentation over the next few days. We wish all club and perspective club members another successful year ahead.